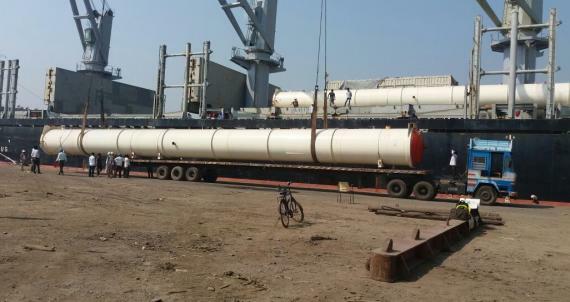 Express Global Logistics (EXG) are members in India and have successfully carried out the port handling, customs clearance and transportation activities of autoclaves at Mumbai port. 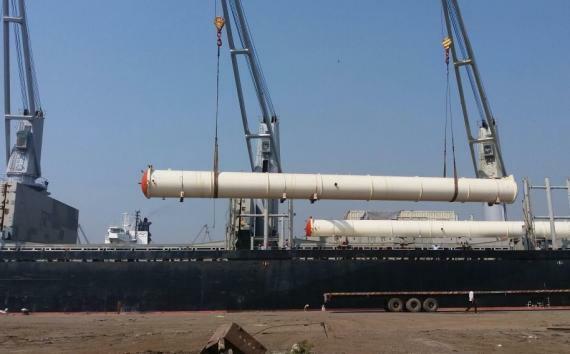 The cargo originated from Shanghai and after clearance, had to be transported to Lucknow at a distance of 1,450km away. There were 4 identical pieces (photographed in the gallery below during unloading), each with a weight of 38tns (total weight of 152 tons) and with dimensions of 34 x 2.85 x 2.68m. EXG carried out a route survey for the long transportation to Lucknow and as the journey passed through 4 states, permission had to be obtained from each state for the movement of the cargo. A road was constructed to get a suitable entry into the factory. The entire operation was carried out smoothly and safely without any issues. 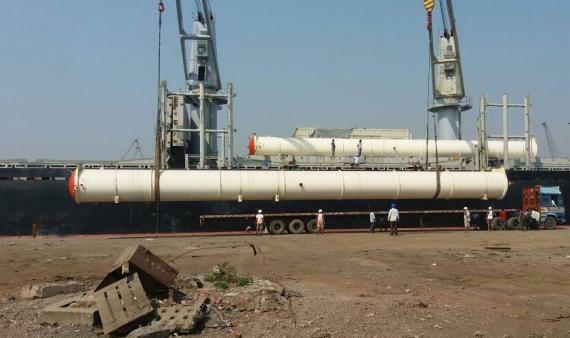 Express Global Logistics are project specialists, established in 1946 with headquarters in Mumbai, India. 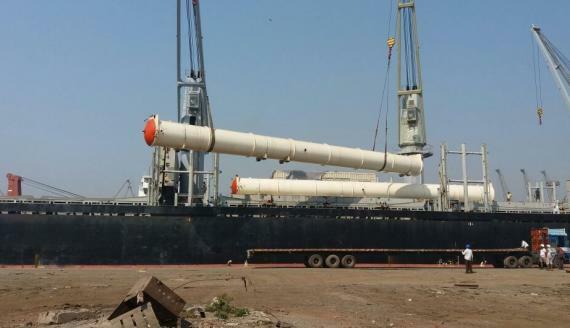 An asset based company with a pan-India presence, EXG are backed by their own fleet of Goldhofer hydraulic axles, cranes up to 450tns and warehouses.